Well, hello there! 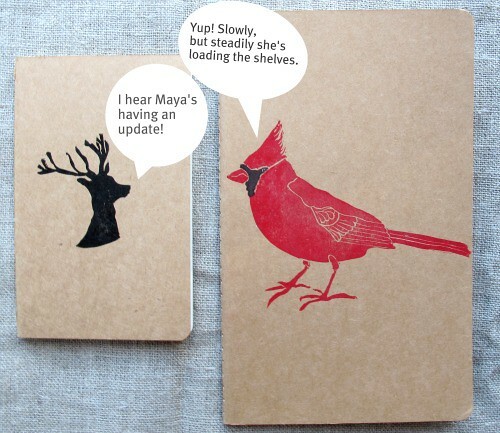 I always forget how long it takes to list new items on Etsy, but Mr. Cardinal is right: "slowly and steadily" I've been adding new items to my shop. It always feels so good to have some fresh stuff in there! Yippee! If I can, I'll add a few more little bits later on, but for now I've come to the end of my ability to sit in front of this computer screen! Time for stretching, some lunch, and then packing up a few of the buckets that already slipped away. 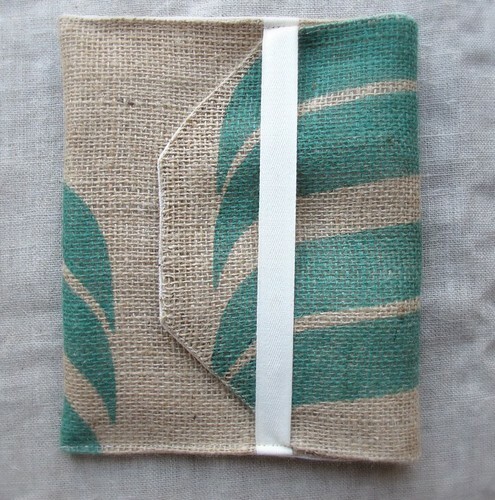 I included a few photos here of some new junior journals and this burlap envelope I just love. You'll find them and much more right here. Have a great day... the weekend is just around the corner! oh! 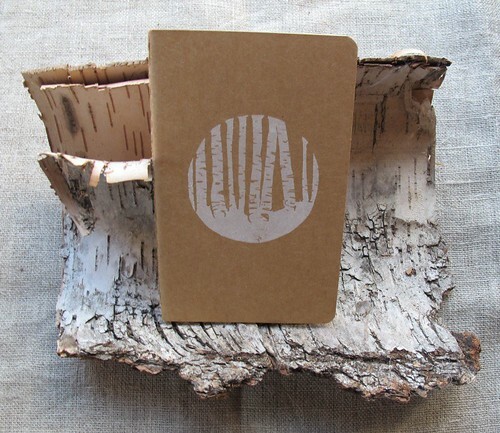 i love the birch journal. so lovely! always inspiring! love from Kentucky! You do lovely work, Maya. I like the birch tree stamping. I love your stuff. The notebooks look lovely. 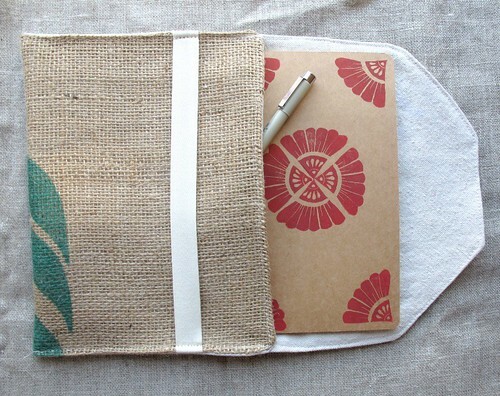 I love the burlap envelop!! But I don't see it in your shop... sold out?